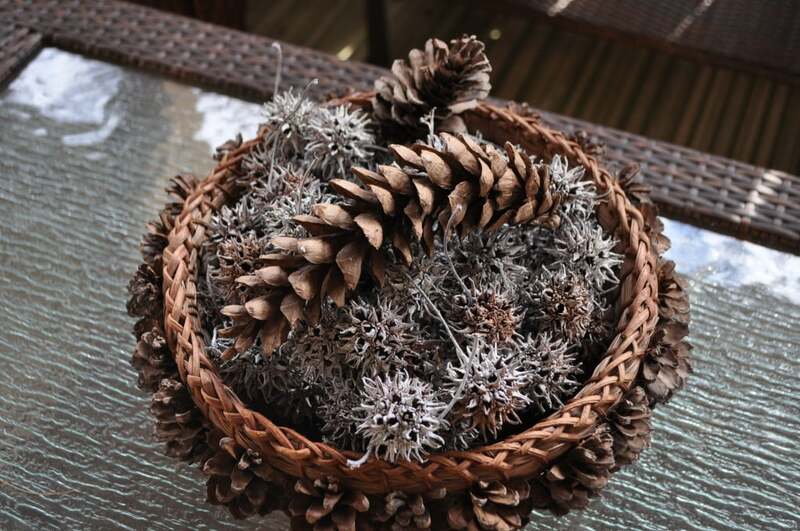 Start planning ahead and gathering things from your Christmas boxes, grab your hot glue gun, paints and start roaming around the woods for some pine cones, evergreens or anything natural around your yard, so you can make your home as festive as it can be. You don’t need a big budget because these projects are all low cost or basically NO cost. 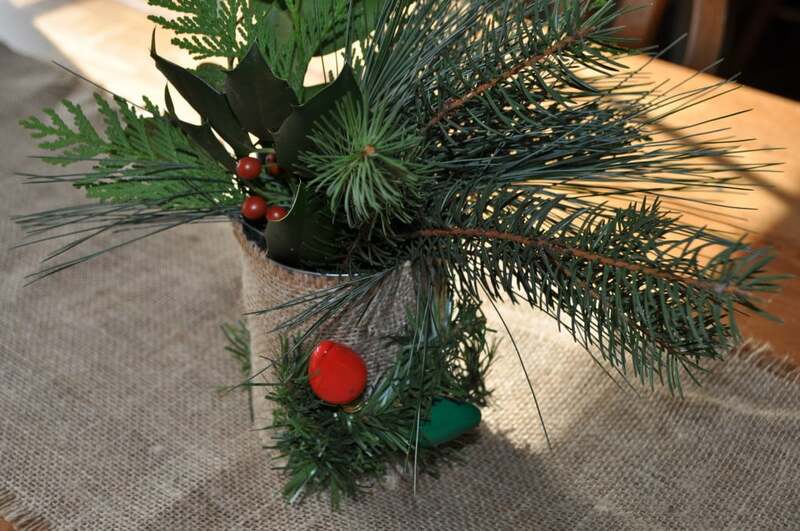 Take a 15 oz.can, hot glue burlap around. Then hot glue Christmas lights and some leftover garland pieces. Just add water, fill with greens….Viola….Nice little centerpiece!! 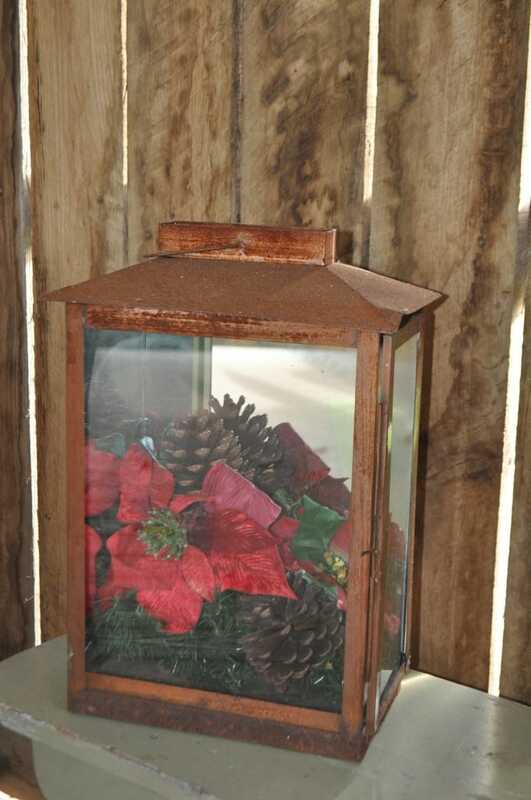 Here we had a rusty candle holder.Added pine cones and a poinsettia, again a nice rusty rustic focal point on our porch. Simple idea and totally neat. 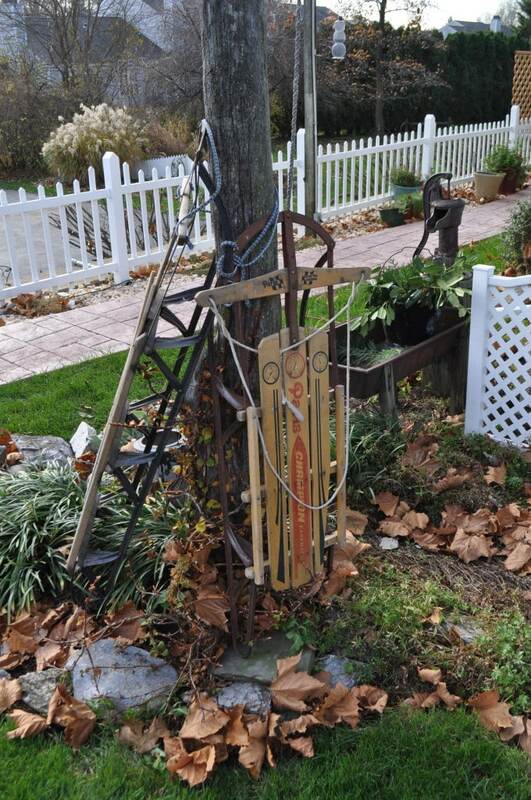 If you have sleds not being used, just lean them against a pole. 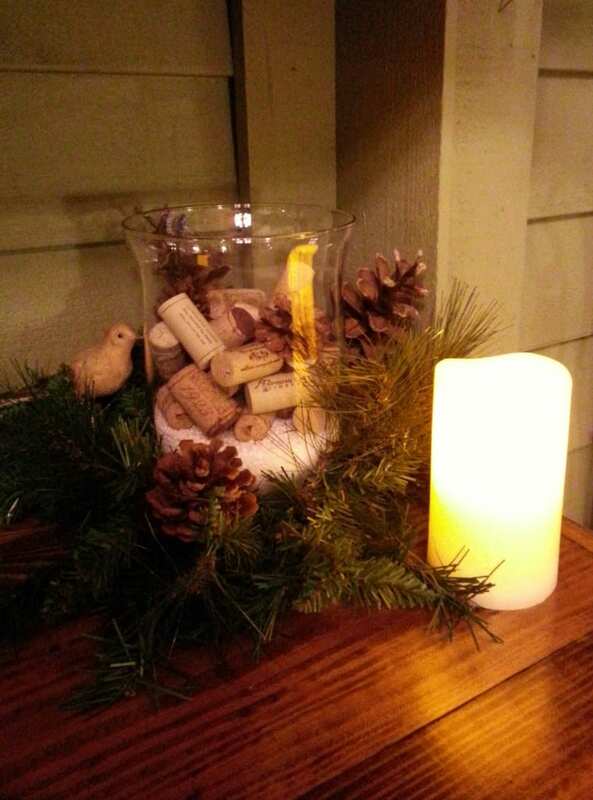 Just add Epsom salt for snow, add corks , a few tiny pine cones, some greens and a flickering candle. 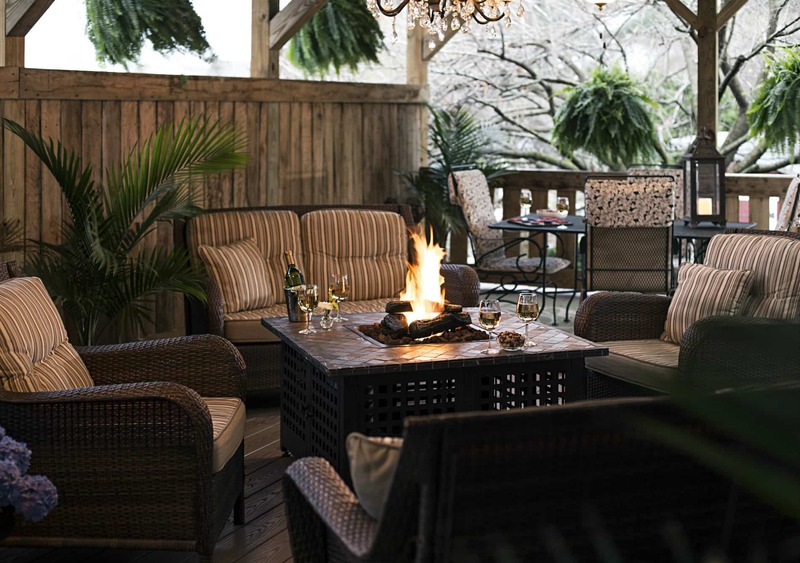 Rustic , yet elegant!!! 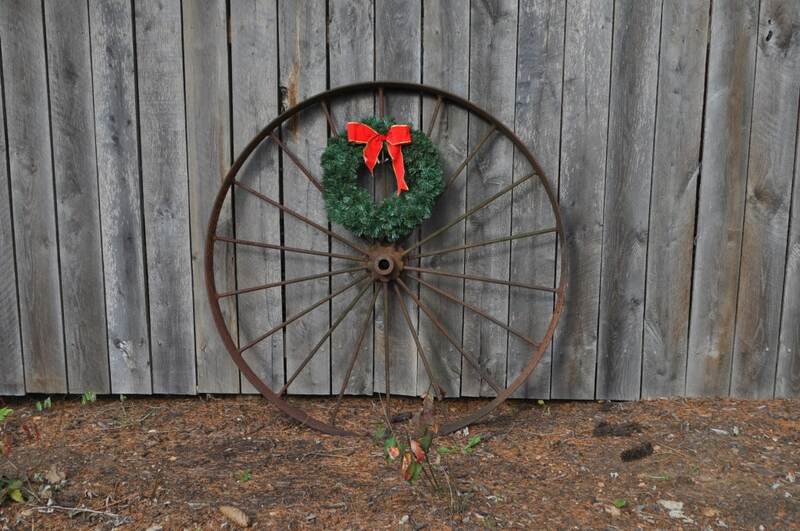 This entry was posted in Ideas around the INN and tagged 1825 Inn, bows, candles, centerpieces, Christmas, Christmas Ideas, corks, greens, pine cones, sleds, sleighs, wagon wheel by admin. Bookmark the permalink.